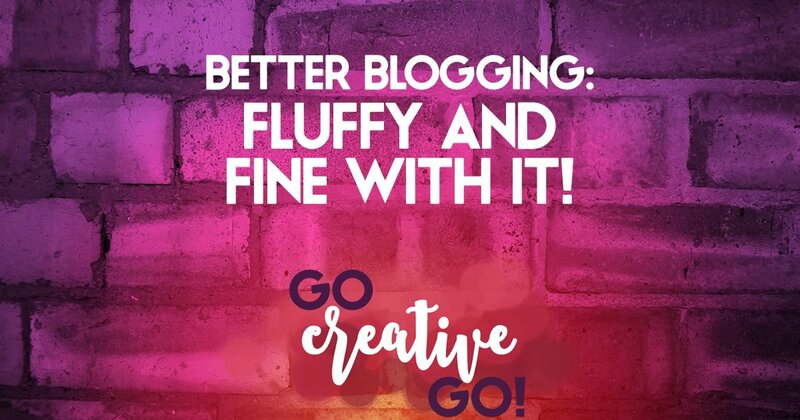 Better Blogging: Fluffy And Fine With It! Writing and style. Much like social media marketing successfully, there’s no single, correct, way to get your point across with the written word. There’s a reason you often see discussions about writing and blogging style. Compare it to fashion, hair or make-up, and you’ll find that the idea of writing style is vast, varied and versatile. If you follow even one content marketing blog or Twitter feed, I dare say you’ve seen at least one call for tightening up your writing. I thought I’d share why I don’t have any imminent intent to change the way I write. Here it is, the reasons why I’m not going to embrace the short, sparse, terse writing style embodied by Hemingway and many a blogging expert. Tighten Up? I Leave That For The Gym! I write the way I speak. I love words, and use them in even the most casual of conversations. Why shouldn’t I embrace that same style in my writing? I alliterate and rhyme when I speak, in public or with friends. Why would I stop doing that when I put fingers to keys? Some might say I ramble. Some might think my intros are a little too long. Some might think I too often resort to eye candy with my use of alliteration, simile and metaphor. And that’s fine! My writing style just doesn’t suit their specific taste. Yet, I’m still not going to change my writing style or vocal delivery! Tightening up my blogging style would mean losing the very style that my audience has come to expect. If you’ve read any of my Music & Marketing posts, I’m willing to bet you didn’t necessarily enjoy every piece of music I shared. Some songs might have made you want to thrust your fingers in your ears rather than tap your toes. I’ve often said that if we all loved the exact same things, the world would be a very boring place. Variety rocks! There’s something out there for all of us. My social sharing counts and the comments about my writing via my Twitter feed, lead me to believe that I’ve got an audience that appreciates my specific blogging style. We read to learn, to stay on top of the latest industry news, tech and more. But we also read to be entertained. We read to feel an allegiance with an idea or a writer. We read because we seek stories. If you mess too much with your blogging style, cull and cut out all that makes it colorful, you’re often left with just the bits and pieces, words, paragraphs, punctuation, sans story. And there’s little sharing when you snuff out the story, at least in my experience. My Blogging Is Fluffy AND I Feel Fine! You can ignore the advice of experts, real and faux, if it doesn’t suit your audience. You ABSOLUTELY SHOULD ignore the advice of experts if it doesn’t suit your audience. Maybe you’re a little wordy. But if your words have the fun, flair, feistiness and/or fluffiness that your audience adores, there’s no flipping reason to make a single change to your writing style. Yes, you need to spell check, you need to consider, carefully, the placement of commas and other punctuation. But when your style is genuine and inherent to your business and brand, you need not shorten, tighten or edit harshly. I’m not a fan of hairless dogs or cats. I like ’em fluffy, despite the mess and the need for more frequent vacuuming. My writing style is much the same. Fluffy, a little messy, even a little fly-away. But, you know what? I like it. And so do my readers. So? Fluffy it shall stay! http://www.gocreativego.com/wp-content/uploads/2015/10/GCG-pinnable-fluffy-blogging.jpg 1080 735 Mallie Hart http://www.gocreativego.com/wp-content/uploads/2016/07/GCG-sitelogo-new.png Mallie Hart2015-10-20 07:59:092016-09-20 17:57:23Better Blogging: Fluffy And Fine With It! Reading this, I couldn’t help but nod along at each point. It’s like life – we do what we do because it’s us, versus a copy of us. Why would we be any different when it comes to our blogs, videos, books, etc? Yes, there’s some extra checkpoints we need to make, but the general gist of it? Let us shine through. I shudder to think of how lackluster my publishes would be without liberal sprinklings of alliteration, pop culture and music references and Mallie-isms! Why be anyone but yourself, right Sarah? We tout authenticity and then we try to make people change who they really are. Rather ridiculous when you take a deeper look, isn’t it? Thanks, as always, for sharing and keeping the smart discussions alive and flowing! Testing The Timelessness Of Your Twitter Shares Dear Marketer: Your Tweets Are NOT Your Own!